With the complementary table including the Argentine, Brazilian, Chilean and Peruvian navies, we will have an overview of a continent politically divided by a history of wars, revolutions, coups d’etat and untimely border rearrangements. Within this picture of very small marines, only one takes the ascendancy over others: The Mexican Navy, but a short head. 5 of these marines have at least one cruiser. Neither, or almost, neutrality and maritime means oblige, took part in the naval operations of the great war. With the loss of the Panam region to the US, but also an endemic economic crisis, the country was plagued by significant political instability. The latter prevented any plan of magnitude for the navy, although a command of 4 stars was passed to Yarrow yards for the coastguard in 1913. The size of the fleet in 1914 included a light cruiser, the Almirante Lezo, acquired from 1902, the three gunboats of the class Esperanza dating from 1896 and the Bolivar and General Pinzon even older (1870 and 1881). Colombia remained neutral during the war. Modest if it is, the Navy Costarican had in 1914 only one torpedo torpedo leader of 15 tons, built in Yarrow in 1890. The considerable weight of the American commercial companies (bananas and coffee) made that the country remained neutral during the war. 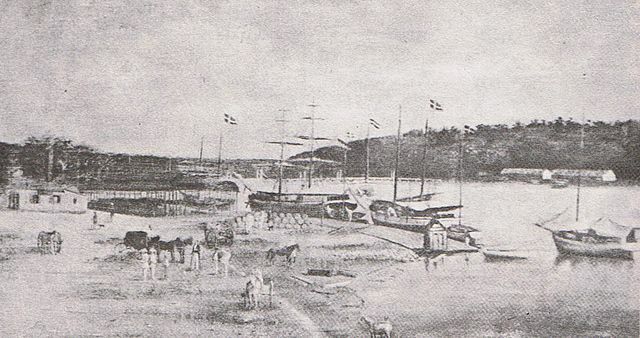 With a country in constant threat of war with its neighbors for border disputes, the government did not have an ambitious naval policy and some minor ships were bought, such as the two 800-ton Papin and Inconstant notices dating from 1886, in 1900 , then the Liberator Bolivar torpedo carrier, acquired in 1907 from the Chilean Navy (former name: Almirante Simpson). there was also a small steamer of the coastguard armed with machine guns. Ecuador broke off commercial and diplomatic ties with Germany in 1917. With a vast territory bordered on one side by the Caribbean Sea and on the other by the Pacific, Honduras had interesting commercial scavengers. Yet this country was one of the US guardhouses that controlled it economically and politically, not hesitating to intervene to hunt or support a political leader with the help of naval companies, and arranging with the Nicaraguan winners in 1907, who had defeated General Amapala. In 1914, the very small local “fleet” consisted of a single armed steamer, the 22 februar, of 13 tons and dating from 1897. In 1919, however, there were two important acquisitions: The gunboat Tatumbla of 200 tons, and the Customs coastguard Mesurado. By far the most important of these “micro-fleets”, the Mexican navy included in 1914, a cruiser (dating from 1891), the Zaragosa, completely rebuilt in 1910, the four gunboats of the classes Independencia (1874) and Democrata (1875), the Plan de Guadalupe (1892), and the 2 class Tampico (1902), and the 2 class Nicholas Bravo (1903), as well as the Progreso (1907). It also implemented the armed transport General Guerrero (1908). Mexican political life was stable because of the dictator Porfirio Diaz’s iron fist who had been in office for almost 40 years. Economic life took advantage of this armed peace, until in 1911, a revolt and a coup d’etat did not chase it. But this revolution lasted almost until 1920 and saw only terrestrial clashes. The navy remained relatively neutral during this period, neutrality guaranteed by a naval landing at Vera Cruz in April 1914. 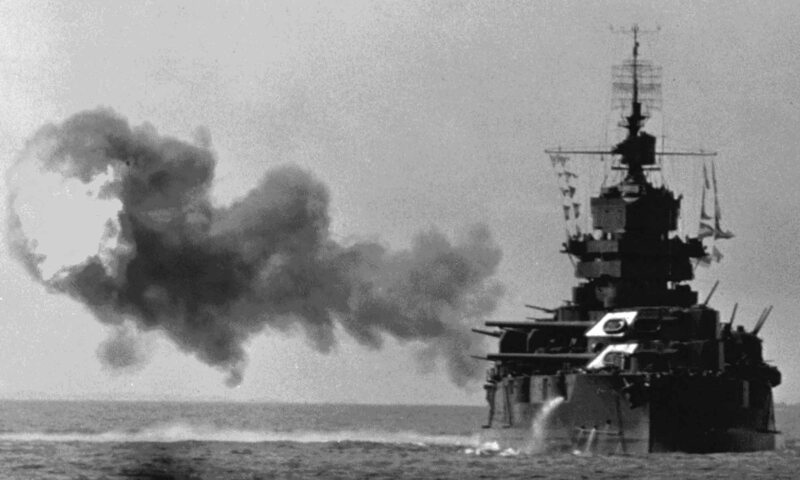 The US Navy was also very present to safeguard American interests. A country with a small commercial fleet of 2 steamers and 18 sailboats in 1914, Nicaragua and its 550,000 inhabitants had an army of 40,000 men in wartime. It was also with its fleet superior to that of Honduras that it won its war against the latter country in 1907, safely landing troops at Purto Cortes and Ceiba bordering the Caribbean Sea. In 1910, gunboat USS Paducah landed Marines who, faithful to the policy of American interventionism in the political affairs of the States or its economic interests were important, supported the coup d’etat of the conservative general Estrada against the liberal president Zelaya. Other disturbances and a civil war in 1912 resulted in a US military presence in 1913. The fleet consisted in 1914 of the 400 ton Momotombo gunboat and the armed transport Maximo Jeraz. This landlocked country, surrounded by powerful neighbors, lost the war of the triple alliance (Lopez War), a quarter of its male population perished and lost important territories. To defend its only port and maritime outlet, it had in 1914 an armed multipurpose steamer, the Triumfo, Constitucion and Independencia. Neighbor of Haiti on the island formerly called hispaniolia, the small republic Domonicaine could count on three gunboats, the Restauracion (1896), Independencia (1894) and presidente (1898). They were removed from the lists in 1916, when the civil war broke out. A Marine Brigade intervened and occupied the country until 1923. Neighboring the mighty Argentina, Uruguay had one of the most powerful marines among these third nations. She could count on a cruiser, the Montevideo, ex-Dogali bought from the Italians in 1908. She also owned the gunboats Uruguay (1910), 18 de Julio (1909), the armed transport General Flores, and the old gunboat with paddle wheels Rio Branco, as well as the training ship General Suarez (1887). 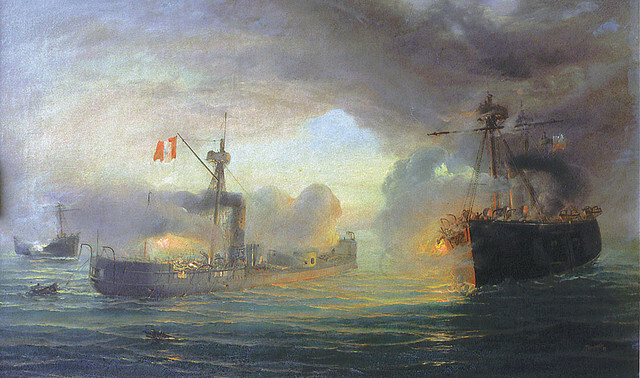 At first neutral, Uruguay declared war on the triple alliance in November 1918 after losing three commercial ships because of U-boats. She took advantage of it to get her hands on eight German steamers who came to swell her commercial fleet. Difficult for a refusal to settle his foreign trade debts, this country was seized by the German navy one of his gunboats, the Restaurador, which was returned to him after three months of internment. It had in 1914 gunboats Bolivar, Miranda and Jose Felix Ribas, in addition to that already mentioned. All these buildings were old (from 1884 to 1895), and were added to the powerful ex-American ex-Spanish gunboat Isla de Cuba, acquired in 1912, renamed and rearmed under the name of Mariscal Sucre. Venezuela’s commercial fleet consisted of 19 ships. She suffered no casualties and remained neutral during the war.